I love dogs, as you know if you visit here very often. Dogs are my passion! Golden Retrievers are my breed of choice, but I love dogs of any breed. 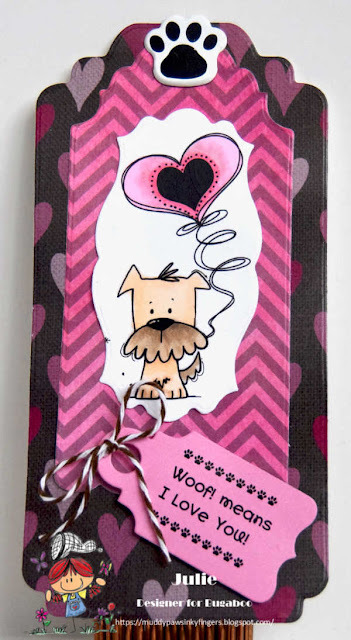 Today, I'm sharing a dog themed card, and I couldn't be more excited! This image is from Kinda Cute by Patricia Alvarez. It's entitled, Happy Dog! I colored Happy Dog with Copic markers. He does look happy, doesn't he? The sentiment is from an acrylic set I've had for a long time from a company no longer in business. I cut the heart border out on my Silhouette Cameo 3 with a file I found in the Silhouette Design Store. The pink checkered paper is from AMB Illustrations. The ribbon, also in my stash for a long, long time, is, I believe, from Paper Wishes. 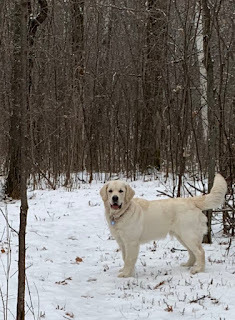 Speaking of happy dogs, here's my dog, Winter. Isn't he beautiful? He loves the snow! He's almost 9 months old now and a bundle of energy. 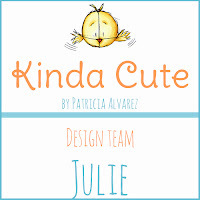 Kinda Cute by Patricia Alvarez has a wonderful store with acrylic stamps, digital stamps, digital papers, handmade cards for purchase, a Zazzle shop, and more. It is well worth a cyber trip there to check it out! 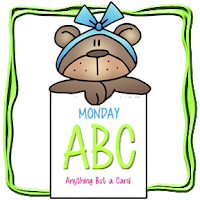 There's also a Kinda Cute by Patricia Alvarez Facebook Group, with a monthly challenge to check out, and the Kinda Cute by Patricia Alvarez Blog where you can get up close and personal with this wonderful artwork! Thanks for stopping by today. I hope we'll be friends furever! Outlawz Sunday Songs & Rhymes -- How Much is That Doggy in the Window? Happy Monday, my friends! I hope you have a good week ahead of you. I am posting today for the Scrapbook Stamp Society, home of My Besties stamps, and Sherri Baldy products. Sherri Baldy has had such wonderful new releases lately (well, she always does!) 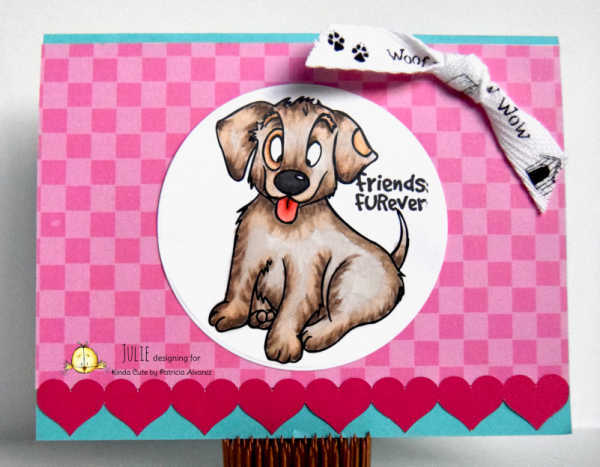 Today, I got to play with not only an adorable digi stamp, Sweet Lil Aussie Koala (img5026), but also some digital papers from the Flower Town Fun paper pack. I colored img5026 with Copic markers, then found one of the beautiful Flower Town Fun digital papers to match my coloring. This paper pack is gorgeous! Stop by the My Besties Shop to see the wide range of products available. 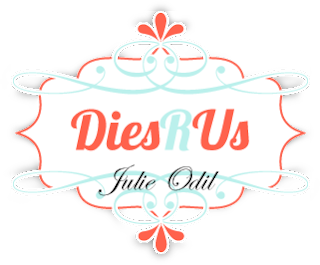 If you prefer to shop on Etsy, here's the link to that My Besties shop. It's Saturday, and it's your Day! Do what you want to do! I used a free image you can find in the Scribbles Designs Store. It's called "It's Your Day" (F158). You can grab it in both JPG and PNG formats. I colored this up with my brightest, boldest, neon colored Copic markers, and some gel pens in my collection. Papers are from AMB Illustrations. The pink discs are from Close To My Heart. Hello, and Happy Saturday, everyone! 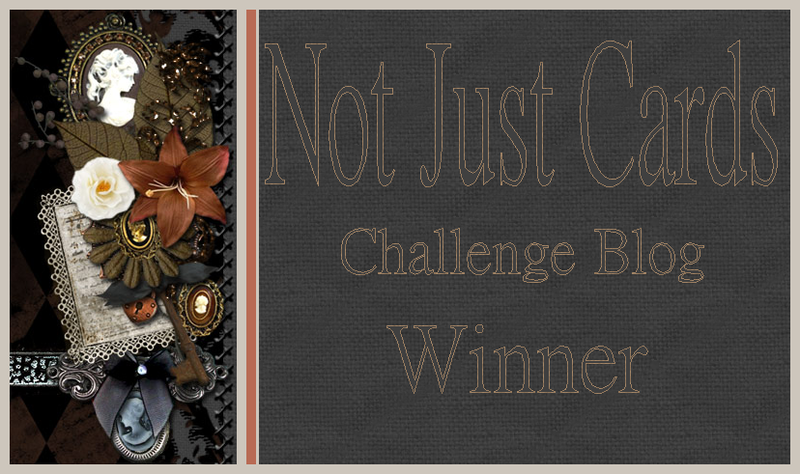 There's a new challenge starting today at Catch the Bug Challenge Blog. 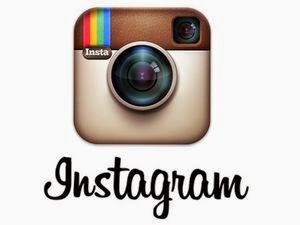 It's a photo challenge. It's great fun! 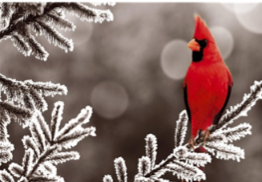 You can see why I colored that big RED bird!, and why I chose a snow theme to go with it. The fun papers I chose for this card are from We Are 3 Digital Shop. They are from the Howdy Paper Collection. 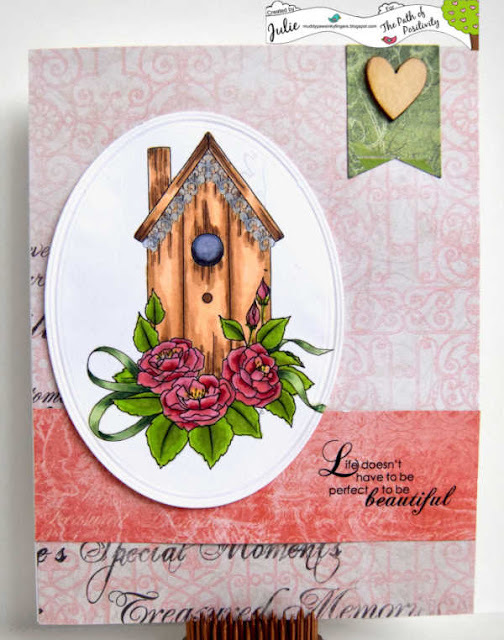 The sentiment is from a Technique Tuesday stamp set. The bronze studs are from Close To My Heart. The stitched die I used to cut out the image is from Spellbinders. Ready to take on the photo challenge? Join us over at Catch the Bug this week! 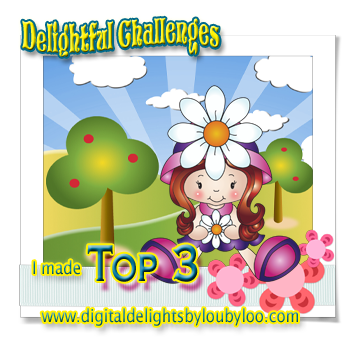 It's Saturday, and it's time for a new challenge at Di's Digi Designs Challenge Blog. For the next 2 weeks, the theme is, "Add an Animal". 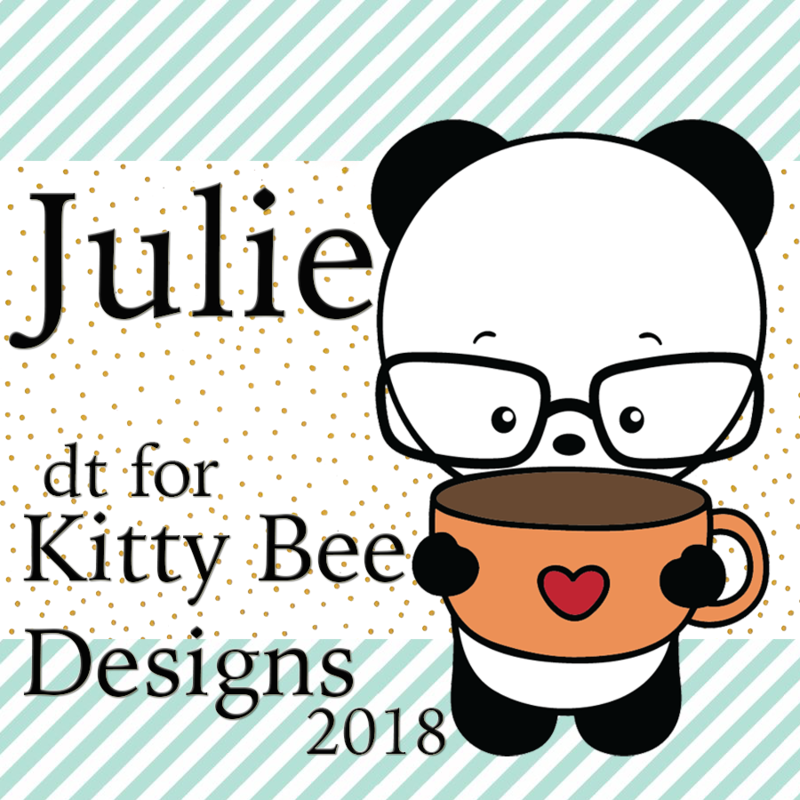 Di Carubia has some of the most adorable animals in her Di's Digi Stamps store, so you should have no problem with this challenge! 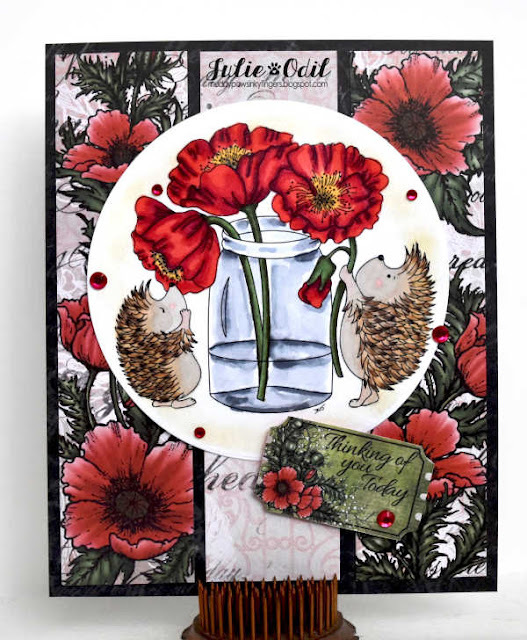 I love hedgehog, and poppies, so I knew exactly what digi stamp I wanted to color up! This is Blooming Lovely Hedgehogs, colored with Copic markers. I cut out Blooming Lovely Hedgehogs with a Lifestyles Crafts circle die, and inked the edges with Tim Holtz distress ink. 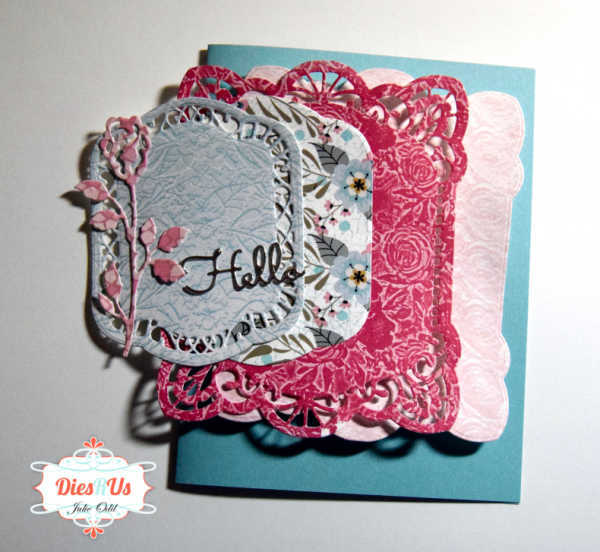 Papers on this card are from Heartfelt Creations. 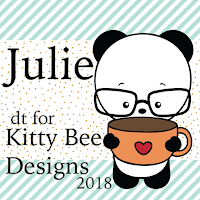 I hope you find time to join us the next 2 weeks at Di's Digi Designs Challenge Blog for our "Add an Animal" Challenge. I'd love to see what you create, and we've got great digis you can win -- like this one! While looking for challenges to enter this in, I noticed Colour Crazy Colour Challenge is having a DT call, and it's only one project a month. They have a great team, and awesome sponsors, so I'm linking up to see what happens! It's the 3rd Monday of the month, so it's time for a bit of mid-challenge inspiration on the Path of Positivity Challenge Blog. This month, the optional theme is "Love". That's an easy one for February! I printed the Nasturtium and Loving More sentiment directly unto the frame. Then, I colored the Nasturtium with Faber-Castell colored pencils. 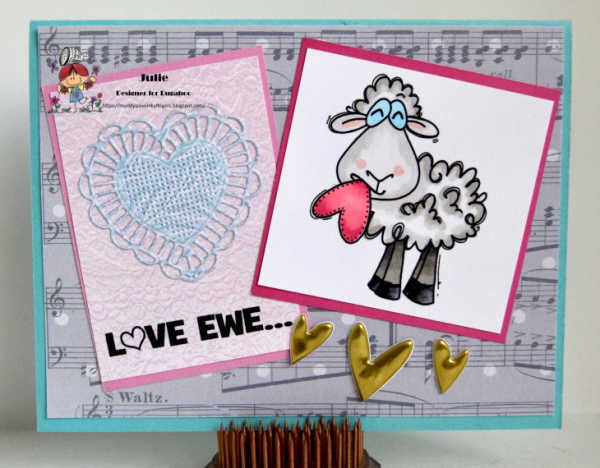 Papers on this card are from Heartfelt Creations. I added foil to one of the papers to give the card more of a "wow" factor for the recipient. The ribbon is from Really Reasonable Ribbon. I'm really enjoying their 3/8 inch ribbons. They are perfect for cards. You can win prizes for both our wonderful sponsors. 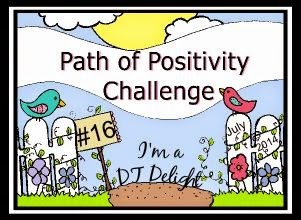 Simply link up a project that fits into the optional "Love" category at Path of Positivity Challenge Blog. It's time for some mid-month inspiration on the Sasayaki Glitter Challenge Blog. The theme this month is 'Hearts &/or Stars'. Since I featured a Sasayaki Glitter stamp with a heart on for the first post, today, I'm featuring stars. I colored Reaching Stars with Copic markers. I cut out the stars accent frame on my Silhouette Cameo 3 with a file I found in the Silhouette Design Store. The sentiment was computer generated. The star paper is from AMB Illustrations. The silver star was on my work desk from a previous project. 'Hearts & Stars' -- Naz has many adorable digis in her Sasayaki Glitter Etsy Store that would work great for this challenge. Do some shopping, color them up, then join us at the Sasayaki Glitter Challenge Blog. 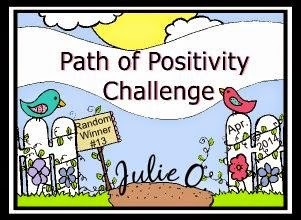 I'd love to see what you create, and their are great digis you could win -- like this one! 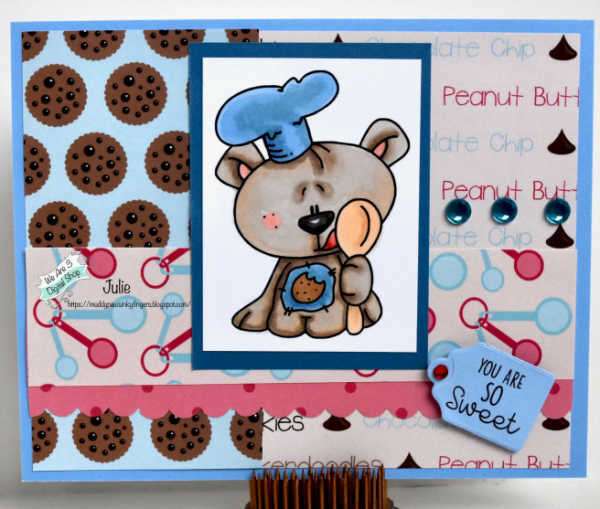 That darling baking bear from Bugaboo Stamps is Occupation Bear - Cook, colored with Copic markers. The papers and sentiment on this card are from We Are 3 Digital Shop. I used 4 papers from the Baking Cookies paper collection. The sentiment is one of the Itty Bitty - Sweet sentiments. 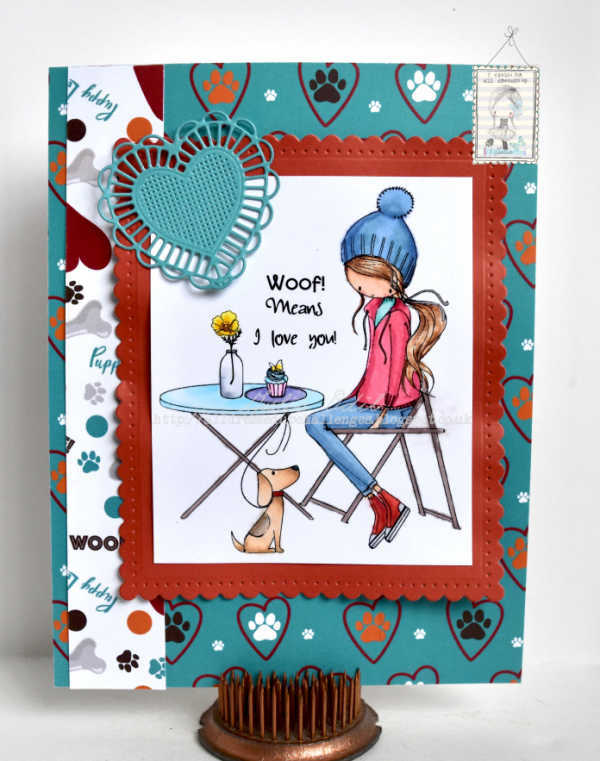 I did say this card was designed with Stella Says Sketch in mind. Well, here's today's sketch over on the Catch the Bug Blog. As you can see, I followed that sketch quite closely. Thanks, Stella! 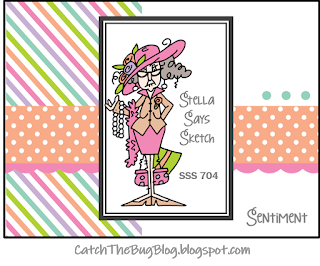 Stella's Sketch challenge will be happening for the next 2 weeks, so I hope you find time to join us. 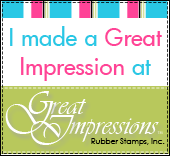 Stop by the Bugaboo Stamps store, do some shopping, then enter the Challenge. Visit the We Are 3 Store, too, buy some papers, and make your crafting experience that much more enjoyable! It's Saturday! Yea! Even though I've been retired for a few months now, Saturday is still my favorite day of the week. It's a day to sleep in, make pancakes, and relax a bit more than I have time for during the week. This is Ava, colored with Copic markers, then fussy cut. I printed her very small, so I could fit her on a heart. The coloring was a challenge! The papers on this card are from We Are 3 Digital Shop. The paper behind Ava is from the Roses Are Red collection. 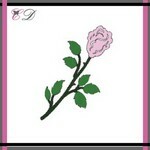 The other 2 designer papers are from the Hearts in Love collection. The silver foil trim and the sentiment stamp are both from Close To My Heart, as are the heart dies that I used. It's Friday (yay!! ), and it's already the 15th of the month. We're more than 1/2 way through February. Wow! 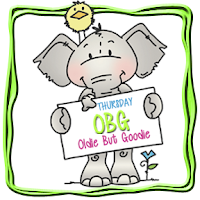 Today is "Oldie but Goodie" day on the Sasayaki Glitter Blog. All of the projects today are featuring Elly, the Elephant, found in the Sasayaki Glitter Etsy Store. I colored Elly Juggling with Copic markers. I cut the card base out on my Silhouette Cameo 3 with a rocking card file I found in the Silhouette Design Store. The sentiment was computer generated. 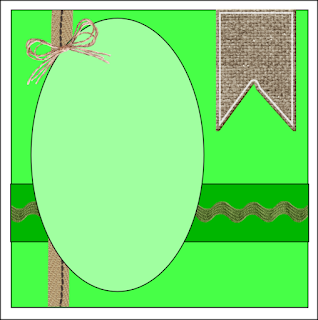 The stitched oval frames are from Spellbinders dies. I hope you check out the other Elly digis featured today on the Sasayaki Glitter blog, and see what the talented Sasayaki Glitter designs have done with them. You won't be disappointed! Do some shopping, color them up, and join the challenge. You have until the end of the month. Happy Valentine's Day! 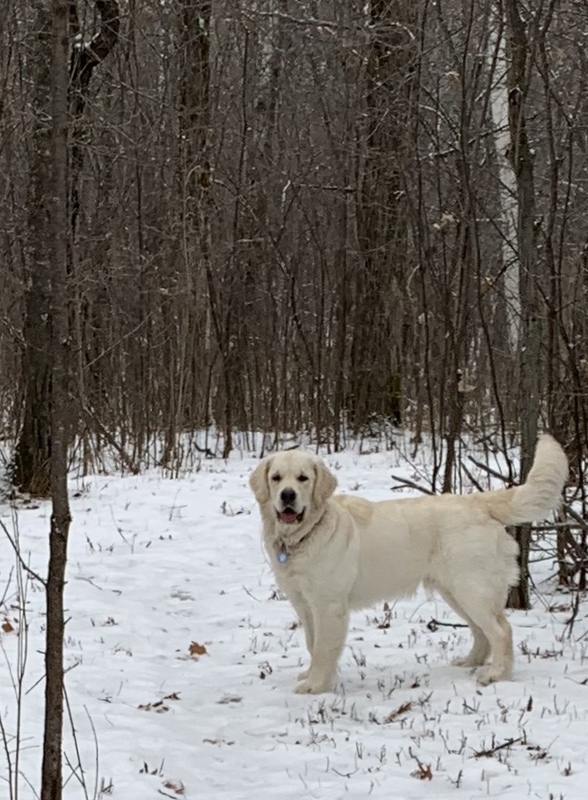 It's a snowy one here in Wisconsin! We have been very far behind in snow totals all year, and now, in about ten days, we've made up for it, and we're destined to go down in the books as one of the snowiest seasons on records. Mother Nature never fails to surprise us! Valentine's Day! 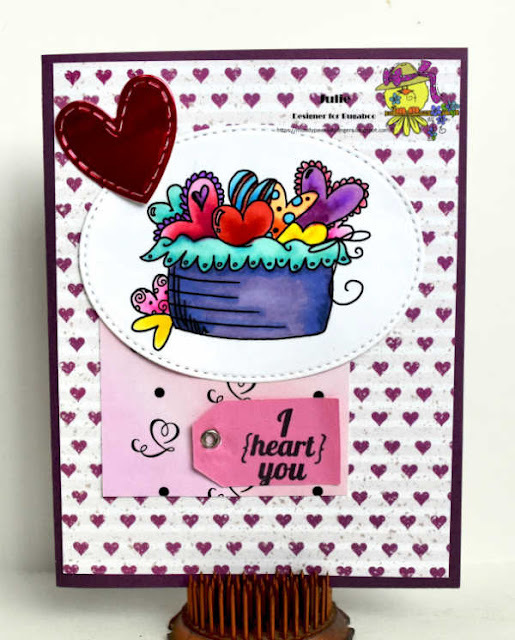 I realized on Tuesday I didn't have anything scheduled on my blog for today, so I quick whipped up this adorable Heart Basket and created a card with it. 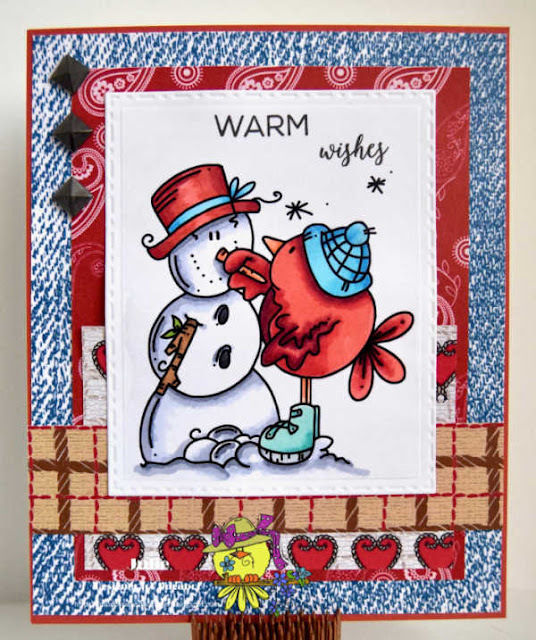 It's Oldie but Goodie day today at Bugaboo Stamps, so the Heart Basket image worked out perfectly. I used papers from We Are 3 Digital Shop. 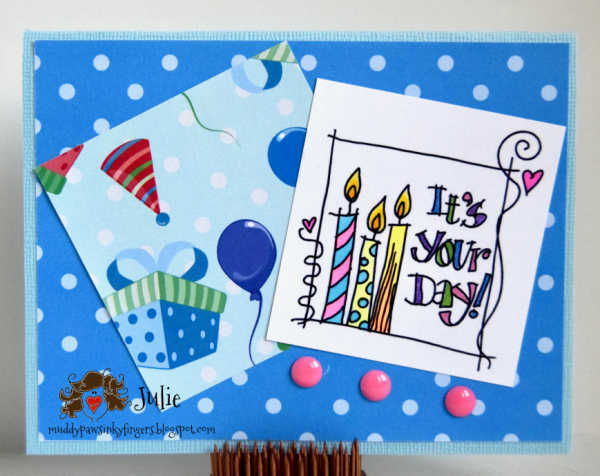 The hearts on the base of the card are from the Happy Birthday Collection. The paper with the stylized hearts is from the Hearts in Love Collection. 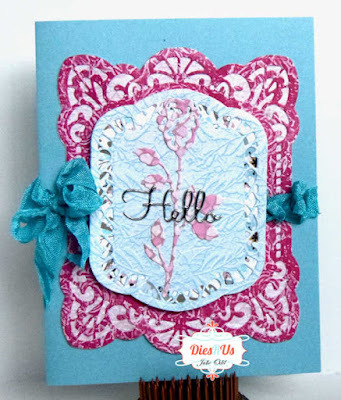 I used an eyelet on this card so I could enter it in the Crash Your Stash challenge at The Outlawz. It turned out to be just that -- a challenge! I have totally forgotten how to do eyelets! It took many tries, & many ruined eyelets, but I finally accomplished ONE! 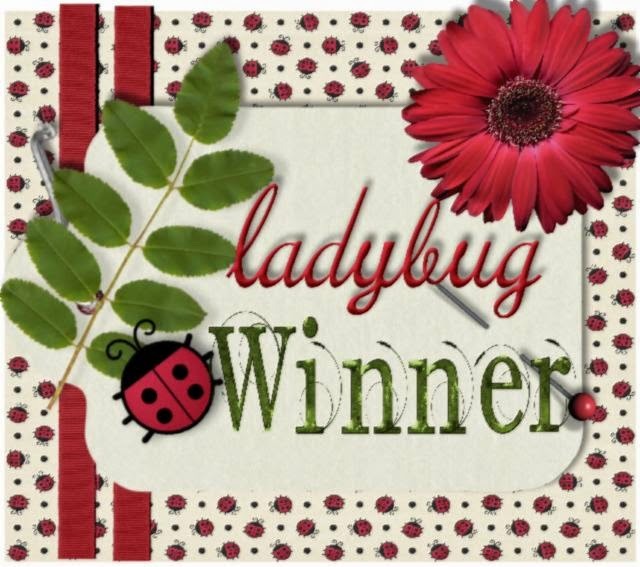 To see some more great Bugaboo Stamps oldie but goodies, please visit the Catch the Bug Blog. Thanks! National Umbrella Day -- did you know there was such a thing? Everything deserves it's day, even umbrellas, I guess. 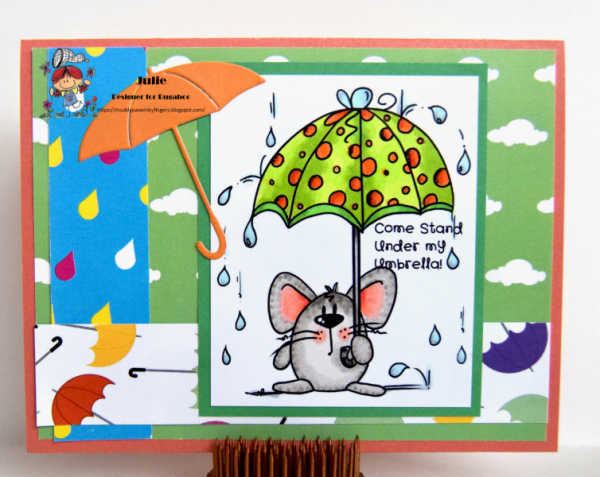 Sunday was National Umbrella Day, and today I am paying homage to the big event with a card featuring umbrellas for Bugaboo Stamps. 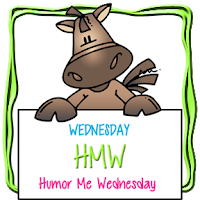 It's Humor Me Wednesday on the Catch the Bug Blog. I colored Umbrella Mouse with Copic markers. I computer generated the sentiment. Papers for this card are from AMB Illustrations. I used a past sketch from Sketch Saturday. The umbrella die cut is from a die that has been in my stash for so long, I don't know who's it is anymore. I hope you visit the Catch the Bug Blog to see what other design team members have done for other "historic" events of significance this week! Don't forget about the Catch the Bug Challenges, found on Saturdays, and the Stella Says Sketch challenges on every other Sunday. 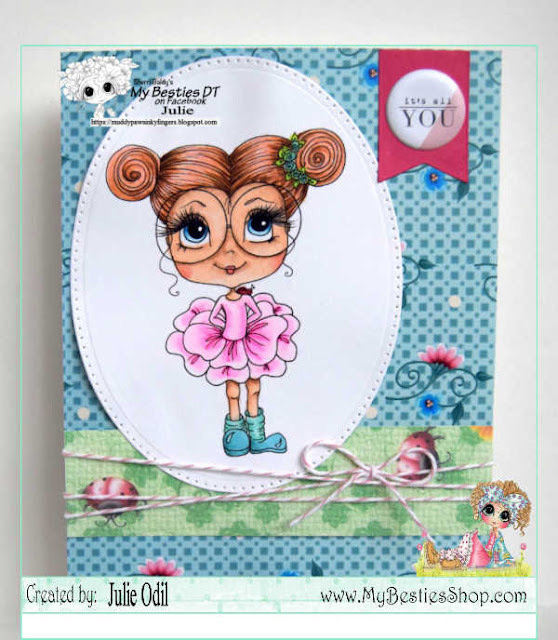 It's new release day at All Dressed Up Stamps! There are 4 new releases this month, and I had the really, really great pleasure of designing with "Time For Cake". You'll see why! I'm such a dog lover, that I'm quite sure Wendy Burns drew this new release just for me! Thank you, Wendy! I think it is just the sweetest thing! Time for Cake, colored with Copic markers, reminds me so much of my dog, Winter, and I. There is a local coffee shop, where, in good weather, I sit out on the patio with him. I get ignored. He gets talked to like he's a prince. The mayor walked by not too long ago and said, "That dog should run for mayor! He'd get more votes than me." Hmmm. It's a thought! Except I like our present mayor! But, back to Time for Cake! I already mentioned I colored it with Copic markers. I had my E71 marker make a big blop on the paper. Can you see where? I worked and worked and worked with the colorless blender to try to fade it out. I'm hoping it covered well enough. Most of my coloring was done by that point, of course. I computer generated the sentiment. The fun dog themed papers on this card are from AMB Illustrations. I like how bright and colorful they were. The frilly heart is cut out from a die by Cheery Lynn. You can find what the other talented All Dressed Up designers did with the New Releases by checking out the All Dressed Up Facebook group. 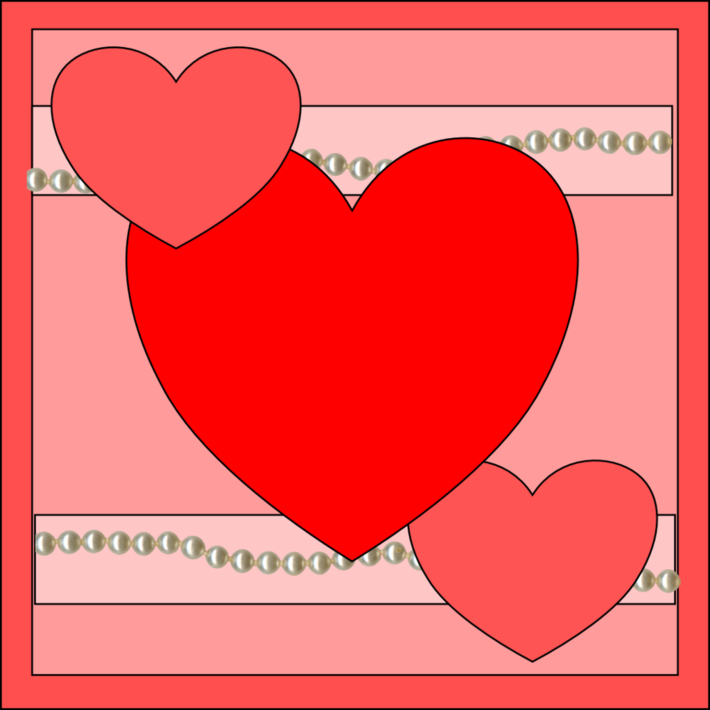 You'll also find a folder for this month's Facebook challenge -- All You Need is Love. I hope you can enter. I'd love to see your creations! You're Clawsome! I mean awesome! I'm so glad you stopped by today. 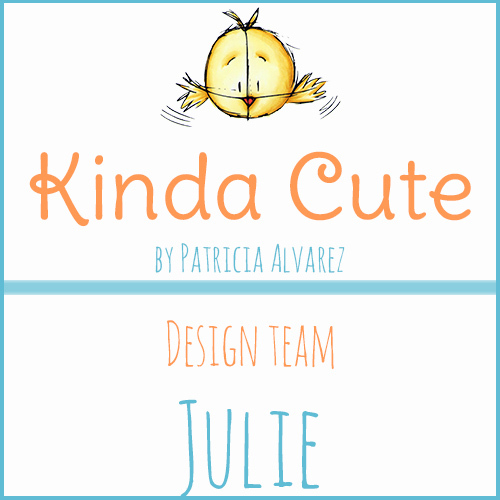 I am posting today for Kinda Cute by Patricia Alvarez. 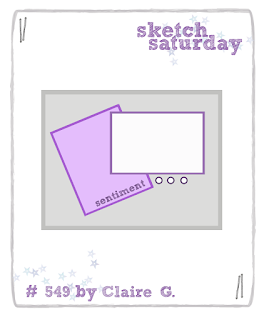 She has the cutest, whimsical clear stamps and digis that I love to color! I colored Valentine's Lizard with Copic markers. I cut the heart spray card base out on my Silhouette Cameo 3, with a file I found in the Silhouette Design Store. The paper behind the Valentine's Lizard is from AMB Illustrations. The ribbon is from Really Reasonable Ribbon's monthly ribbon club. The pink shimmer trim is from Close To My Heart. Thanks for stopping by today. You really are Clawsome! She really is sweet, isn't she? I love those glasses! I colored img5651 with Copic markers. 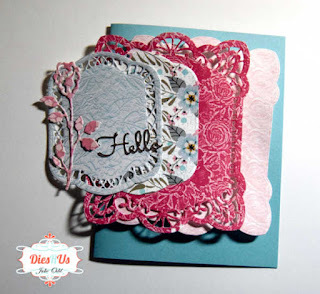 The papers I used on this card can also be found in the My Besties Shop. I hope you visit this blog often to see the wonderful inspiration from the Design Team. 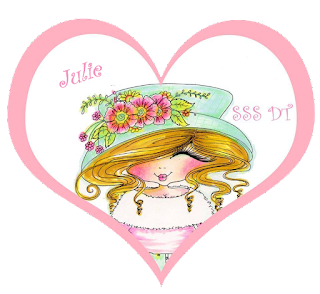 There's also the My Besties Shop with all kinds of fun for crafters, and the Etsy My Besties Shop. I love Winter! 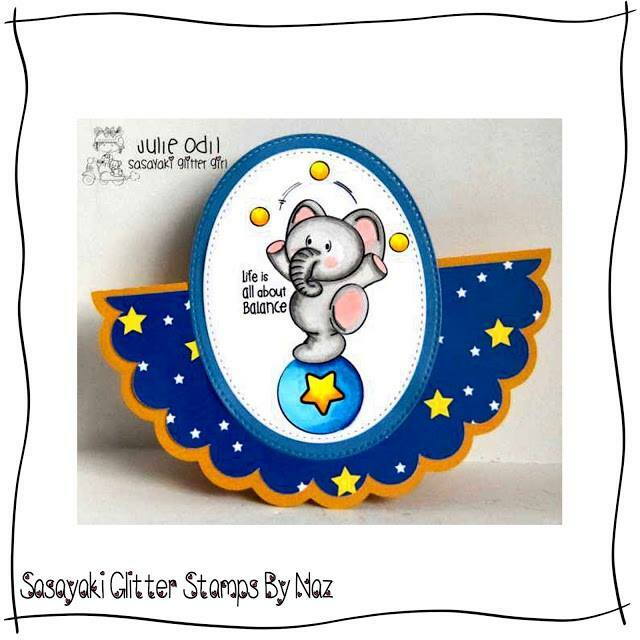 I also love coloring up the delightful images of Sasayaki Glitter Stamps by Naz. She has the sweetest digis to play with! Today's is no exception! This is Valentine Snowman, colored with Copic markers. I made the card base, cutting it out on my Silhouette Cameo 3 with a file I found in the Silhouette Design Store. The papers are from We Are 3 Digital Shop (snowflake paper) and AMB Illustrations (heart paper). The teal shimmer trim is from Close To My Heart. There are many adorable images in the Sasayaki Glitter Stamps by Naz shop that fit the Stars or Hearts theme, and the Sasayaki Glitter challenge runs until March 2, so I really hope you find time to join us! I'd love to see what you create.